Notes: ORTIZ23 used his MLB in epic fashion in M13. While the game itself favored passing big time, with the "pass lead" being absolutely ridiculous, what the Falcons did with MLB Jon Beason was legendary. He easily broke the INT record and had over 20 picks this season. ORTIZ23 smashed rookie surprise chrebet in the Super Bowl. Notes: One of the better rivalries during M13 in MXLF was the AFC South that featured Flybad and his Texans against rookie chrebet and his Colts. They went back and forth winning the division, and each making the playoffs every season. This season, just like the year before, chrebet knocked off Flybad in the Divisional round. However, Lonestar knocked off those Colts in the AFC Title game. The SB turned out to be a good game but zeemen took his second championship in the end behind a lethal combo of RGIII and Desean Jackson. Notes: Back to back championships for zeemen as well as chrebet's second SB loss in three years as he once again just squeezed by rival Flybad in the playoffs. Zeemen's 49ers team was one of the best teams ever assembled in the history of MEFL. Notes: During the AFC playoffs, Flybad knocked off chrebet in the Divisional. What happened next was one of the bigger controversies in MEFL history. 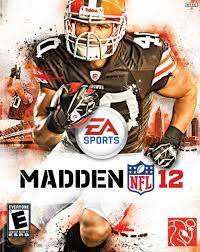 Although Flybad lost the AFC title game to the Browns (rookie owner), Burntcabbage ruled that because the game was "UnSim," that Flybad would take control of the Browns team during the Super Bowl. In the end, ORTIZ won his second championship. Notes: A shock of all shocks occurred during this Super Bowl as little-known Lonestar beat zeemen in the Super Bowl. Following the game there were accusations on zeemen's side that Lonestar didn't play a straight up game. Regardless, he goes down in the history books as the Champ with Cam Newton and a tough defense leading the way. Notes: Controversy was abound during the last ever MXLF season. Because so many "Un-Sim" accusations and "Unsavory" tactics by commishes, the league was torn apart. Chrebet and both Ortiz Brothers left the league prior to this season. Many others followed as well. The total owner count for this league was about 20. Flybad earned his first title as he knocked off zeemen in the Super Bowl. Notes: Chrebet and both Ortiz brothers decided to start up their own league. Shortly after getting started, they reconvened with Burntcabbage and MEFL was formed. The first season of M25 featured a ridiculous run game that was impossible to stop. Chrebet ran his way through older Ortiz in the AFC Title game and younger Ortiz in the SB. 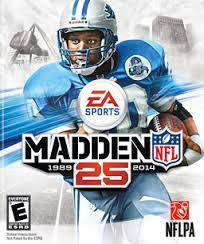 The first every Fantasy Robar went to a very deserving, SIM master, Mr_Oritz_25. Notes: M25 for PS4 still saw a dominant run game, but interceptions were up bigtime as guys had to get used to the pass lead being tuned down. Zeemen's group of Steelers had the best talent from start to finish, and Adrian Peterson broke records during the regular season. Lord_Deniki took the Robar as his play is always deserving. Notes: Again, zeemen rode a talented team to a title, as well as a talented rookie RB in Ciante Carr to the NFL touchdown record. Flybad was on the rise in the NFC as Glennon took the MVP. Otis won the Robar. Notes: Young RB Carr followed up with another strong season for zeemen. 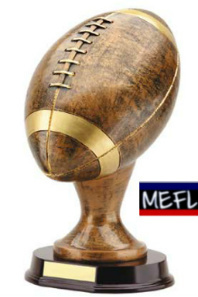 For the third time in MEFL history, Flybad defeated zeemen in the Super Bowl. This season was about Flybad though as he became the first man to win both the Super Bowl and Robar in the same season. Notes: Again, for the fourth time, Flybad won a championship. SDchargers373 picked up the Robar as his voice in chat and play on the field is second to none. 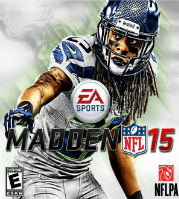 Notes: M15 brought a new style of Madden to us. All of a sudden Player Confidence became a huge factor. So the more dedicated guys will benefit greatly. Spurdaddy became only the 4th player (zeemen, flybad, chrebet) to win championships in both Fantasy and Default. Yeah Dog who came from MXL fit into this group immediately. Notes: This was the season of Frank, as the underdog finally came out on top as Champions. During M13 Frank struggled at times. Fast forward two years and he is now one of the more skilled owners in the league. Older Ortiz took home his second Fantasy Robar. Notes: As he's done in the past, zeemen once again led his team to a perfect 16-0 regular season record, but couldn't get past longtime rival Ortiz25 in the playoffs. 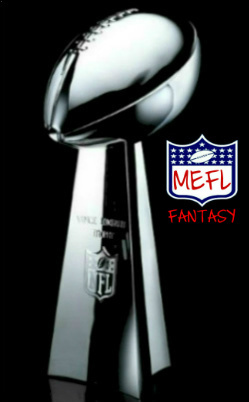 Lonestar and Slick played a fantastic SB which resulted in Slick taking home a long awaited first MEFL championship. --Started as MXLF (Madden X League Fantasy) during the M11 season as a Fantasy League "branch off" from MXL (Madden X League, Commished by Tony87Blue). Main players were Bu11ze1 and Zeemen. It formed mostly from 2 groups which were some MXL guys and Zeemen's guys which came from another league, known as "Trill." Bu11ze1 was original commish of MXLF. 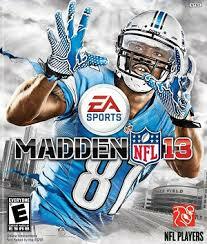 Starting in M12, BurntCabbage eventually took over Commish duties and the Super Bowl Champions started to be recorded. --Towards the very end of the M13 year, MXLF moved websites and changed name to "Elite Gamebreakers" by breaking away completely from MXL and switched to a Default Roster League as their Main League. 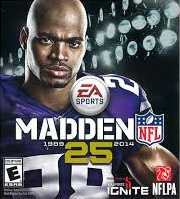 --During PS3 M25 time, league became MEFL (Madden Elite Football League) along with a Fantasy League affiliate also known as MEFL (Madden Elite Fantasy League). --This happened while Elite Gambreakers was going through season 1 of PS3 M25, as a newly forming "Twisted Mayhem Fantasy League" affiliated with Elite Game breakers run by BurntCabbage, merged with MFFL (Madden Fantasy Football League) also a newly forming Fantasy Football League run by Chrebet1024 and Mr_Ortiz_25 (who both previously left MXLF towards end of M13). 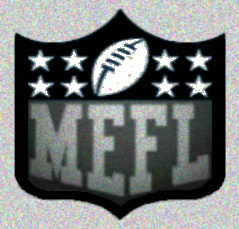 This is how MEFL formed, as these 2 leagues merged. 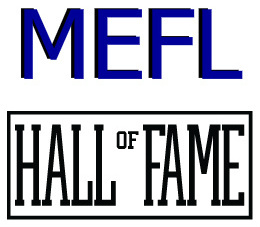 With the success of the MEFL Fantasy League being seen, Elite Game breakers then also became MEFL (Madden Elite Football League) as their affiliate. --During the time of conversion to PS4, both main MEFL websites/leagues turned into the PS4 websites/leagues only.